Home About Art Japanese Ink Painting. Talia LeHavi on Japanese Ink Painting. 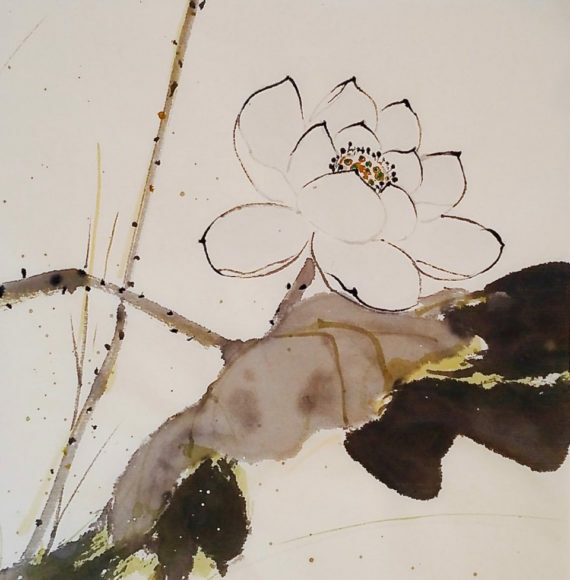 A fellow artist at Skylark Galleries in London is Talia LeHavi who has been working with traditional Japanese ink painting techniques for many years. Exhibiting both in London and internationally, she is known for her cross-disciplinary paintings, prints and ceramic tiles. Talia’s aesthetic sensibility is an exploration and reclamation of nature’s patterns, prompting a dynamic dialogue between the detailed and the whole, the fleeting and eternal. 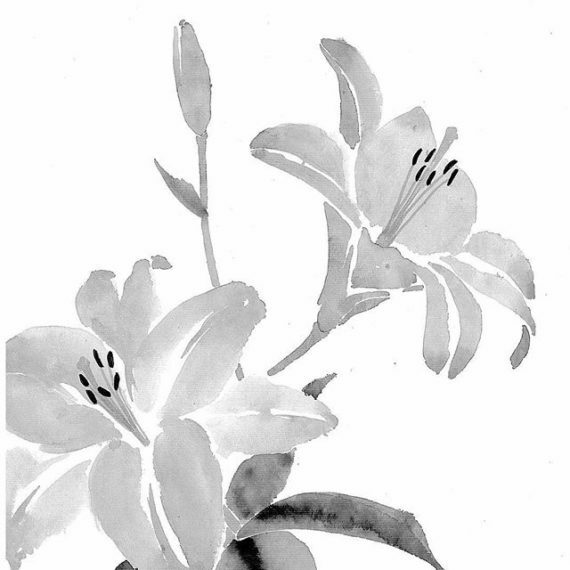 Talia has been teaching Japanese ink painting, calligraphy and watercolour techniques at her London studio, as well as lecturing at various museums, art councils and associations in the UK and worldwide. 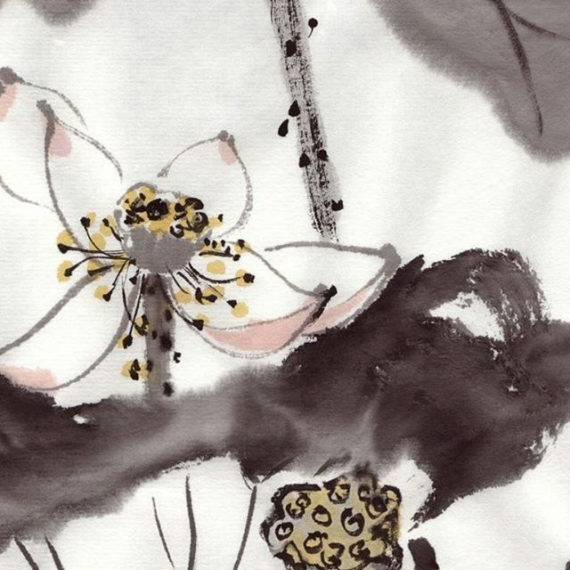 The study of Asian ink painting is a practice of being with the heart’s rhythm. Exercising discipline and steadiness of heart and mind to develop a creative process over a substantial period of time. This is an active meditation process in encouraging new ways of observation and self listening as part of healing and inspiration. Being an ancient practice form in China and Japan, its validity is true today as in its glorious past, especially useful for those who wish to encourage a creative mode of life in themselves. The appeal of Japanese ink painting, known as suiboku ga or ‘pictures of ink and water’, is in the flow of the brush. 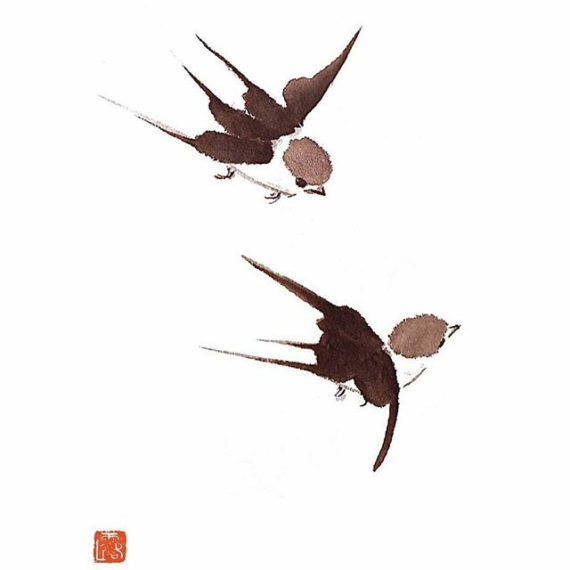 The seemingly ‘effortless’ minimalist stroke that suggests a bamboo in the wind, or a flying sparrow, is magical. It is an artform of economy, using one brush and one colour to reflect upon nature’s harmonies. Results can be achieved on first practice, but to achieve flawless mastery of the brush, ongoing training is necessary. Study emphasizes solid brush strokes, and so practice of calligraphy, known as shodo, offers a good platform in a variety of strokes. The play between ink and water on fine paper stimulates the visual impact between the subject matter and the space around it, to give the feeling of depth, light and richness of composition and colour, even though generally ‘only’ black ink is used. Japanese ink painting was traditionally divided into two main schools of practice. The first is ‘line work,’ depicting a subject with line drawing of the outside form. The second style developed is ‘ink marks’, depicting a subject as ink marks with no outside line. Upon this basic practice, a combination and variety of techniques has developed, including the use of Japanese watercolour, made from natural pigments. “My work invites meditation upon nature and its relationship with colour, light and movement. As I draw or paint, I gradually unravel the underlying qualities of balance and harmony within my subject matter. What interests me most is observing the formation of line and pattern: from the blades of grasses to a bird’s feather; from the shifting of clouds to the beat of my heart; from the maps of stars in heaven to the trunk of an old oak tree. I continuously strive to reveal beauty and elegance within the natural rhythm of life, and look to my art as a place of well-being, empowerment and inner peace. The materials I love to use are water-based pigments, powders, and Japanese black ink. These are natural and organic, and are deeply connected to earth and nature. They afford a rich palette of hues and allow for both extreme precision and flow of movement. I am captivated by the way they blend together and create a whole that is more than its’ individual parts. Occasionally, I also add hints of gold and silver, as these reflect light differently at each hour of the day, change the glow of the work from within. More on a Gender Divide in Art.